Read our client’s testimonials for how Hairprint has worked for them. Please feel free to send us your experience and we will publish it, to help others make the decision to move to Hairprint. Then I tried the conventional way which I always knew would give me either nausea or headaches. When introduced to HAIRPRINT I immediately knew that this was food, food for my hair and that in itself was a long journey. Finding femininity or long hair which I never particularly enjoyed before. It’s natural, I feel natural, the weight of the hair itself is different. It’s got the moisture, the melanin there is a certain weight to it. So the chemical thing, I am sorry it does not have the weight, the presence. Thank you so much for your awesome product! I have been dyeing my hair with conventional products for 25 years and I always worried about the chemicals I was using. Now I can use Hairprint and not worry about adversely affecting my health. Not only that, but my hair is actually healthier after using Hairprint even though I severely damaged it by dyeing it for so long. I won’t ever use anything but Hairprint again! Thank you so much. Clients of mine have cried tears of joy squealing, “this is my color, this is my color!” As they marvel at their hair in the mirror. It is really quite stunning! It’s as diverse as real hair because Hairprint reads each individual strand of hair with its subtle differences. The eyes are very perceptive and can see these differences. 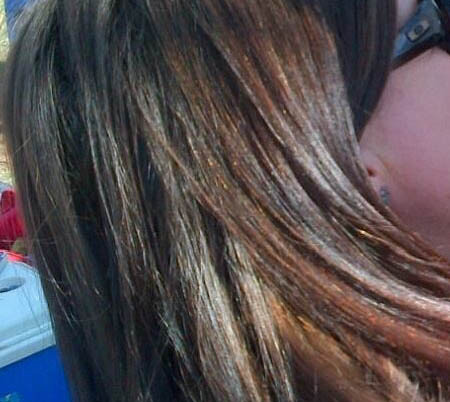 And because Hairprint leaves the hair in better condition, the results on dark brown and black hair are breathtaking. This stuff is truly amazing! 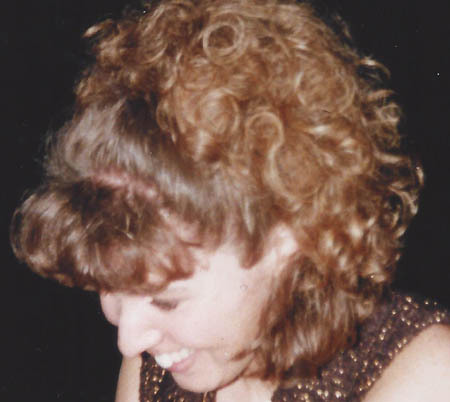 I had rather forgot how my hair looked when I was 20, lol. Besides the bit of gray being totally gone, even better: the color is much richer/deeper, and my hair is much softer/shinier. My girlfriend gets her hair coloured professionally (RRR’s) and was so excited she’s purchased it too. I should also mention that it has had a pronounced effect on volume. Like it’s really noticeable. I dunno why or how but without a doubt where hair was thinning a bit I now have much better coverage. It’s kind of the best of both worlds – non-toxic And clearly superior to dyes etc. Anyway, how can I buy shares in the company? As a vegan environmentalist, I do not use any chemicals on my body and have been applying the most ‘natural hair’ colour available in SA for the last couple of years. Though they have all worked in making the grey hairs appear less noticeable, none of them achieved a uniform colour. The grey hair also seemed to become ‘saturated’ after a couple of applications and wouldn’t dye anymore. 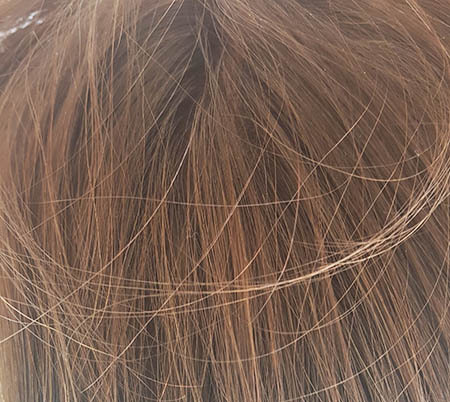 The henna-brands kept turning my hair darker and darker with each application, while the ‘natural’ brands all still contain some form of harmful chemical. 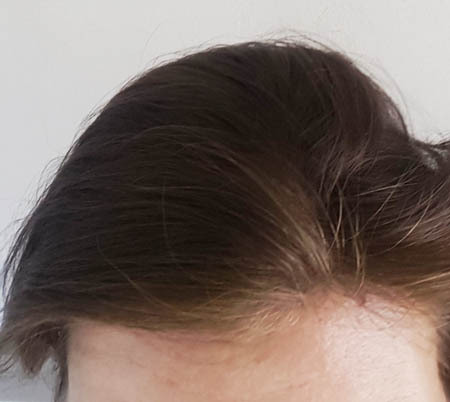 My hair was three different shades before using Hairprint, with the grey roots not taking any colour on, henna or non-henna. I was skeptical at first, as Hairprint is completely natural, containing plants, seed, fruit and natural household ingredients. 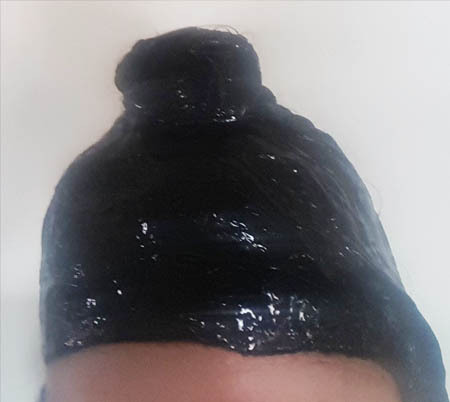 Hairprint, however, worked from the first application, covering the grey perfectly and leaving my hair one even colour – very similar to my hair colour before I went grey. The condition is also much softer, with a lot more volume compared to other products I had used before. The application of Hairprint is easy, taking 1 hour to apply, develop and rinse. Do not towel dry your hair too much before any of the steps 1,2 or 3. The product goes further and absorbs better if your hair is suitably damp. Especially the roots and grey hairs. I have realised one has to leave your hair quite moist/wet before step 3. To get everything covered, as the colour mix does not expand as much as the first two stages, meaning, there is much less product to work with. They grey covered well, and all the hair blends…bottom tips still slightly darker, but I am sure this will fade. I will in future now only colour the roots and top of my hair which is faster to fade.